The journey towards reaching your dreams of being a professional footballer has to start at the beginning, or the grassroots level as it is known in the trade. What better way to get your footballing career kicked off or taking it to the next level than by wearing the great new kits in the 2019 Nike Teamwear range? Nike have released 3 brand new style silos in their 2019 range of football kits, starting off with the elite level Vapor II Jersey. 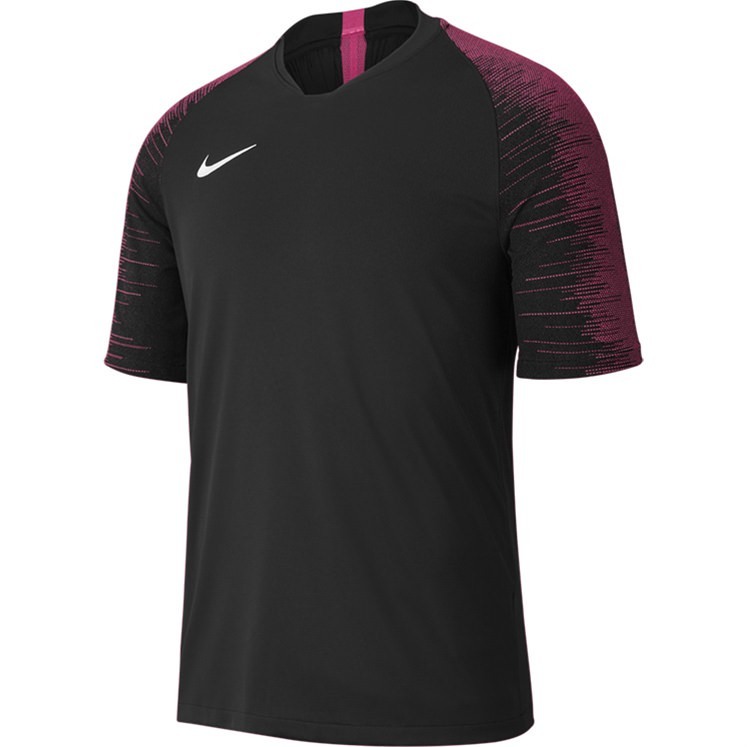 Available in adults only, this jersey is the same style worn by Nike’s elite clubs and international teams like Manchester City, PSG and France. Costing £41.21 each (£54.95 RRP), the Vapor Knit II Jersey is made from a VaporKnit technology which combines lightweight cooling, reduced cling and precision fit (will make it a slim-fitting garment) for a great fit and feel. Other features on this top-level football shirt, available in 4 colours and adult sizes only, are that it is made from 100% recycled polyester so you can do your bit for the environment while beating your opponents on the field of play! Also available in adult sizes only is the Vapor Knit II Short to match up with the jersey perfectly. Offered in 4 colours, these shorts feature a Flyvent waistband to offer lightweight ventilation and excellent comfort as well as being made with a durable water-repellent finish to help keep you dry. If you feel the Vapor II range may be outwith your budget, there are some great alternatives that offer a similar look to the Vapor Knit II styles. Starting with the jersey, and the Strike Jersey offers a similar look to the Vapor II. Available in kids and adult sizes, the Strike Jersey is a short sleeve Dri-Fit lightweight football shirt that has stretchy engineered knit sleeves to move with you freely as you run and has a mesh back panel to add breathability. The slim-fit style of the Strike Jersey also adds an authentic look to replicate the shirts worn by the pro teams. Another feature of this is the hybrid v-neck and a 3cm mesh tape bar at the nape of the neck (also on the Vapor II and Legend jerseys) which is inspired by the on-pitch look of the pro team kits. Starting at £17.21, the Strike Jerseys are available in a choice of 4 colourways. Available until the end of 2021, the Legend Jersey takes inspiration from past Nike jerseys – remember the Striker II/Legend era around the start of the 2010s? – and current Nike shirts for a shirt that appeals to the modern-thinking football team. Available in short sleeves only, the Legend Jersey has a hybrid v-neck collar with taped seams, 3cm tape at the nape of the neck and mesh areas on the underarms and shoulder insets (these are the secondary colour areas on the shirt). Dri-Fit 100% recycled polyester makes this a great and appealing jersey for teams to kit their side out for the new season with. The Legend Jersey comes in a choice of 10 colourways and starts from £11.21 in junior sizes. Of course Nike have much more choice than these and still continue to offer favourites such as the Trophy III, Striped Division III, Park VI and Tiempo Premier, plus more, in their 2019 range of team kit. Two new woven shorts are brought into the catalogue this year in the form of the Venom Woven Short and the Laser IV Woven Short. Available in kids and adults, both the Venom and Laser IV are a lightweight and comfortable woven fabric short to give your team’s kit a step up out of the ordinary! The Venom look has a stripe panel down the side of each leg in a contrasting colour – the purple/white and red/black ones look great – and made of mesh for added breathability, while the Laser IV is a plain coloured short available in a choice of 7 colour options. Not to be confused with a baselayer compression top, the Park First Layer top is a top designed to be worn under your team jersey – particularly handy if you are wearing a short sleeve style kit – and has cool features such as the Hybrid V-Neck, invisible thumb loops which stay hidden when not in use and a stretchy fabric with a smooth face to provide a low-friction underlayer top. The Park First Layer comes in all sizes from XSY through to XXL and starts at £9.71 and is available in a choice of 14 colours – the Green Spark and Vivid Pink though only come in adult sizes. What you do off the pitch is just as important and Nike’s training wear range for 2019 includes a new range called Academy 19. The Academy 19 is Nike’s top training wear range but available at a very affordable price. The key difference between this and the Academy 18 range is the colour options. Academy 19 offers different shades to the Academy 18 options and has brighter colour pallets in the red and yellow choices. Nike took the advice of players in terms of how the fit and look of the Academy 19 range feels and have created a top performing range of kit. All the items in the Academy 19 range feature an outline swoosh embroidered on the garment to show a key difference between this range and the others. In the Academy 19 range you will be able to choose from training items such as a short sleeve training top which is a round-neck style with mesh back and side panels, polo shirt with a hidden placket for a clean look and mesh side stripe and a ¼ zip drill top made featuring invisible thumb loops (not on kids tops) so you can train to your maximum. All of these products come in a choice of Anthracite, Marina Blue, BrightCrimson Red and Volt Yellow. 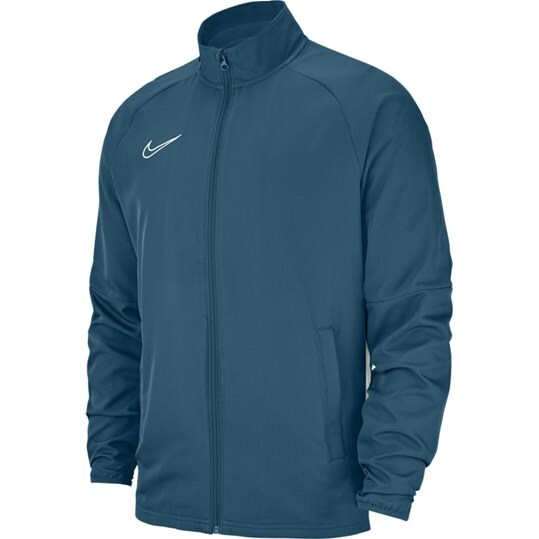 For tracksuit options, Nike have split up the jackets and trousers in the Academy 19 range, allowing consumers to mix and match the jacket and pant sizes for an ideal fit. For the jackets, the Academy 19 either comes in a knitted polyester retro-looking full zip tracksuit jacket which is a 3 panel jacket with ribbed cuffs, collar and hem. The woven Academy 19 Jacket is a slim-fit style tracksuit jacket with elastic cuffs and full front zip. For the bottom half, Nike’s Academy 19 range offers a knitted training short with open pockets and elasticated waistband while for trousers you have the option of either a knitted pant featuring mesh side stripes, stretchy fabric for a close fit, zippered pockets and zips at the hems or the woven pant that is lightweight and has zipped pockets as well as an elasticated waistband. You may notice that there isn’t a black option in the Academy 19 shorts or trousers. These are only available in Anthracite or Obsidian as the black wouldn’t match the jackets or top-half items well. Nike’s classic lifestyle range has gone through a makeover for 2019 and is updated with the Team Club 19 range. These items, made from a cotton/polyester mix, are ideal for wearing after matches/training or leisurely so will also be a key range for colleges/universities to consider when kitting out students in 2019. Items available in the Team Club 19 range are a round-neck t-shirt, polo shirt which includes contrast colour tipping on the collar and sleeve cuffs, and a soft feeling and warm sweatshirt with smaller hems and cuff. 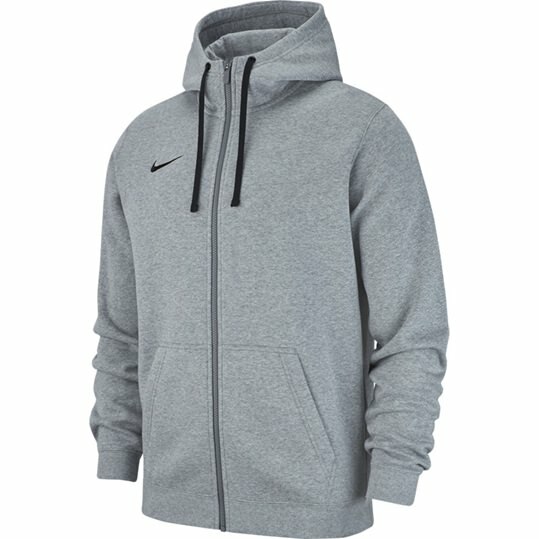 For hoodies in the Team Club 19 range, Nike offer either a full zip or over-the-head option. For youth sizes, please note the external drawcord is absent. The hooded tops feature metal eyelets, ribbed neck, cuffs and hem for a snug fit, pockets on the full-zip hoodie and a kangaroo pouch on the over-head hooded top. These hoodies are also longer in the body and have a more fitted look as well as being a better material for washing. Nike also have a cotton/poly short and jogging pant in the Team Club 19 range this year, popular with younger consumers, available in black, obsidian and two shades of grey. Don’t forget, Nike still offer training wear in the Academy 18 (and a specific womens Academy 18 range too) and Park 18 styles so there is a huge range to select from when choosing your new Nike kit or training wear for the 2019/2020 season!